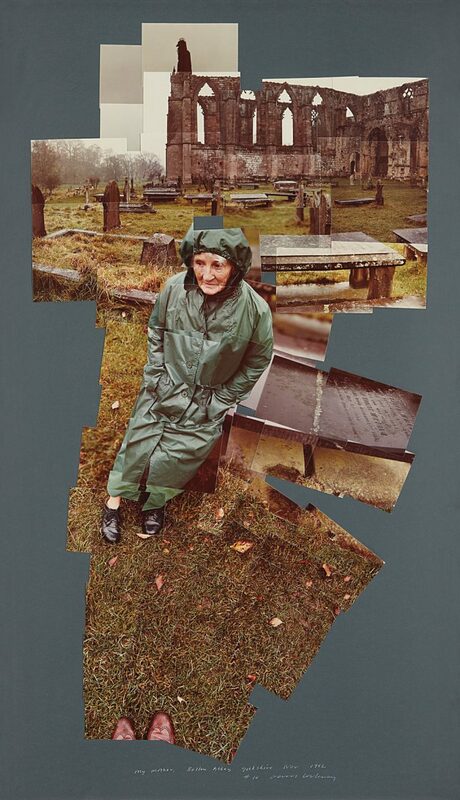 In the early 1980s, Hockney began to produce photo collages, which he called “joiners”, first using Polaroid prints and subsequently 35mm, commercially processed colour prints. 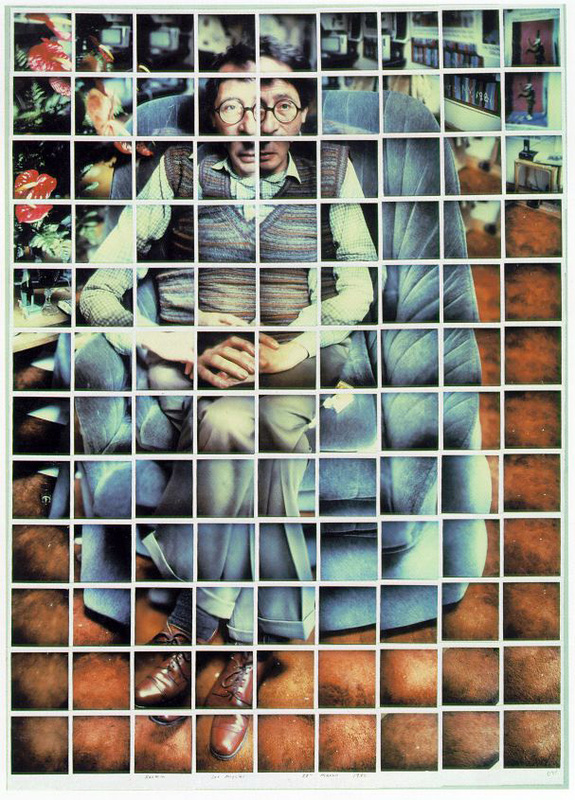 Using Polaroid snaps or photolab-prints of a single subject, Hockney arranged a patchwork to make a composite image. An early photomontage was of his mother. Because the photographs are taken from different perspectives and at slightly different times, the result is work that has an affinity with Cubism, one of Hockney’s major aims—discussing the way human vision works.